For more than 40 years, Excelsior College has helped military servicemembers, veterans, and family members earn the degrees they need to move up in the military or transition into a civilian career. To date, more than 68,000 military students have graduated with an academic credential. We understand that you may require extensions or other allowances, especially when deployed. So our practical online courses, flexible credit options, and academic services will empower you to succeed here. Excelsior representatives at U.S. military bases nationwide can assist servicemembers on site, and our Center for Military & VeteranEducation supports both servicemembers and veterans from a distance. Excelsior College's military partnership programs, maximum acceptance of transfer credit to include credit for military training enables students to complete their degree more quickly. Many veterans utilize their GI benefits at Excelsior, and active duty servicemembers and family members receive tuition and fee discounts to make their education more affordable. In addition, our "Success Strategies" course for military students helps them make informed decisions as they plan their future. Hear first-hand why attending Excelsior is life changing. Choosing the right school for your post-military education can be hard. There are multiple schools with great benefits...who knows what to choose! Now you can learn from someone else’s experience how their military skills helped, why they chose Excelsior and what challenges they faced in the transition. 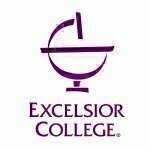 Take advantage of Excelsior College's commitment to your service. Request info now on how you can enroll!